Free parking is available on site at Landau Forte College. 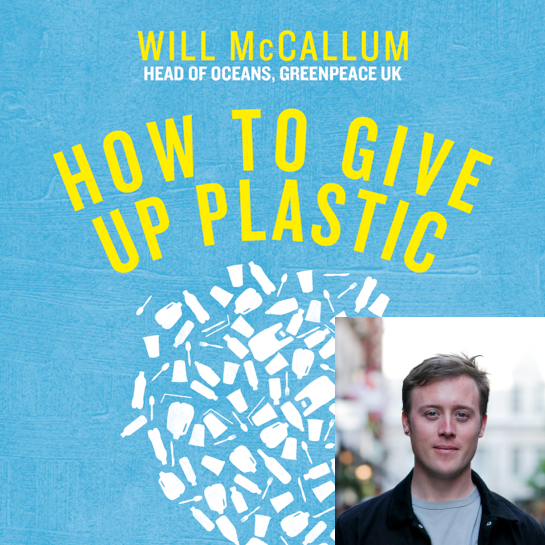 As Head of Oceans at Greenpeace UK, Will McCallum is at the forefront of the anti-plastics movement. Plastic pollution is the environmental scourge of our age: around 12.7 million tonnes of plastic are entering the ocean every year, killing over 1 million seabirds and 100,000 marine mammals. By 2050 there could be more plastic in the ocean than fish by weight. How to Give Up Plastic: A Guide to Changing the World, One Plastic Bottle at a Time, will help you make small changes that make a big difference, from buying a reusable coffee cup to running a clean-up at your local park. Plastic is not going away without a fight. We need a movement made up of billions of individual acts, bringing people together from all backgrounds and all cultures, the ripples of which will be felt from the smallest village to the tallest skyscrapers. This is a call to arms - to join forces across the world and to end our dependence on plastic. Will McCallum has been at the heart of the anti-plastics movement for the past three years. He set up, and is leading, the global Greenpeace campaign to create the world’s largest protected area in the Antarctic Ocean. He has campaigned at sea and on land for many years for sustainable fisheries, healthy oceans and wildlife protection.